Get your copy of Limelight's special summer holiday bumper edition today. The January/February 2018 issue of Limelight Magazine hits newsstands this morning. You can also purchase a copy, or one of our recent issues, through our secure online checkout. 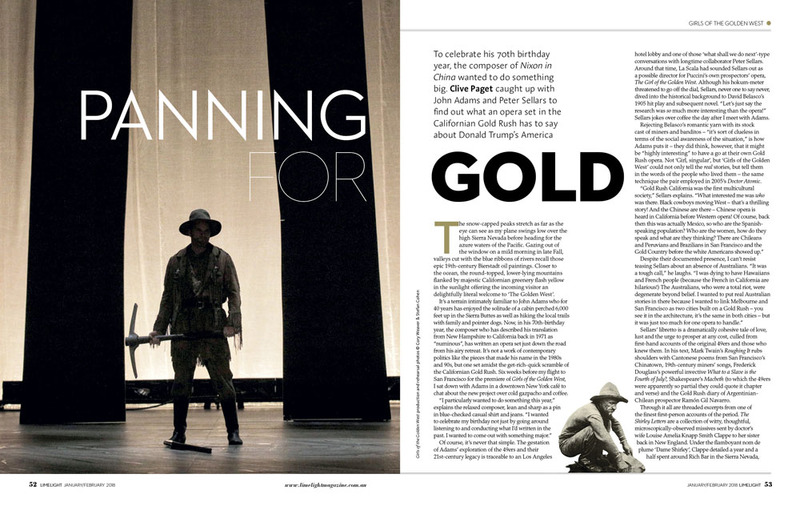 Barrie Kosky extols the genius of Shostakovich’s first opera, and explains why he knew he had to have tap dancing noses in his new production, which Opera Australia presents this February. 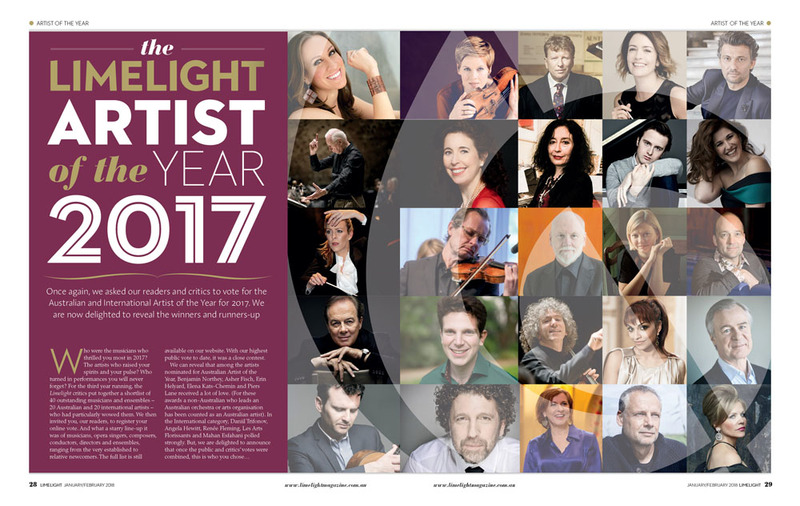 We reveal the Australian and International winners of the 2017 Limelight Artist of the Year, as chosen by our readers and critics. 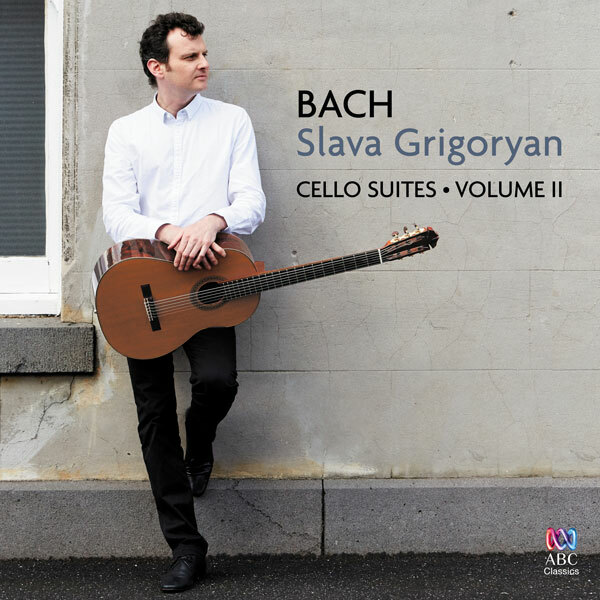 With an Australian-first record deal under their belts, the young guns of the Orava Quartet are taking the chamber music world by storm. 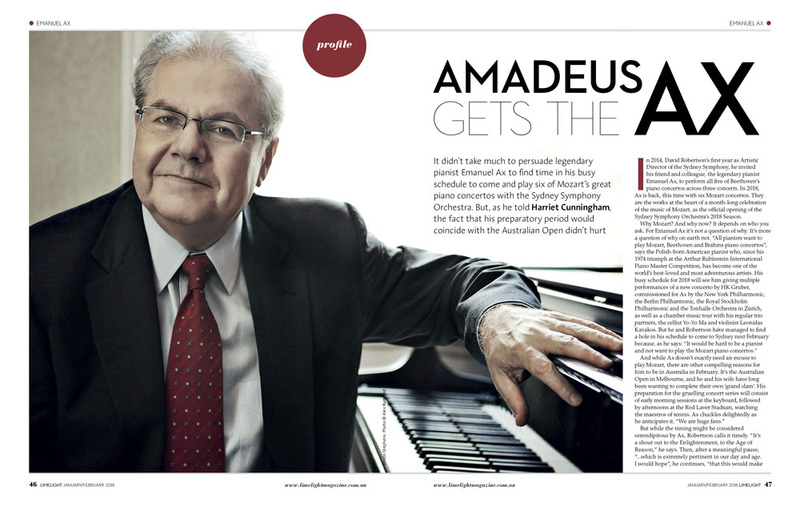 Legendary pianist Emanuel Ax returns to the Sydney Symphony to play six of Mozart’s great piano concertos – and watch some tennis. John Adams and Peter Sellars explain what an opera set in the California Gold Rush – Girls of the Golden West – has to say about life in Donald Trump’s America. 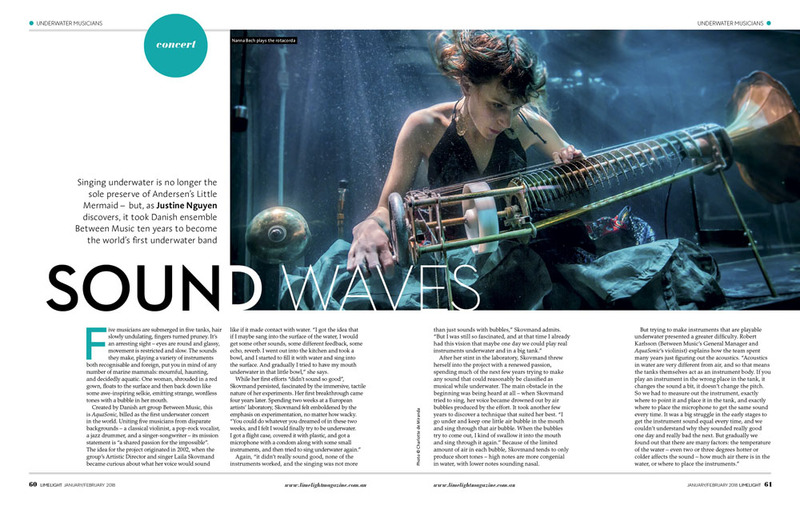 Limelight finds out why it took Danish outfit Between Music 10 years to become the world’s first underwater ensemble with AquaSonic. 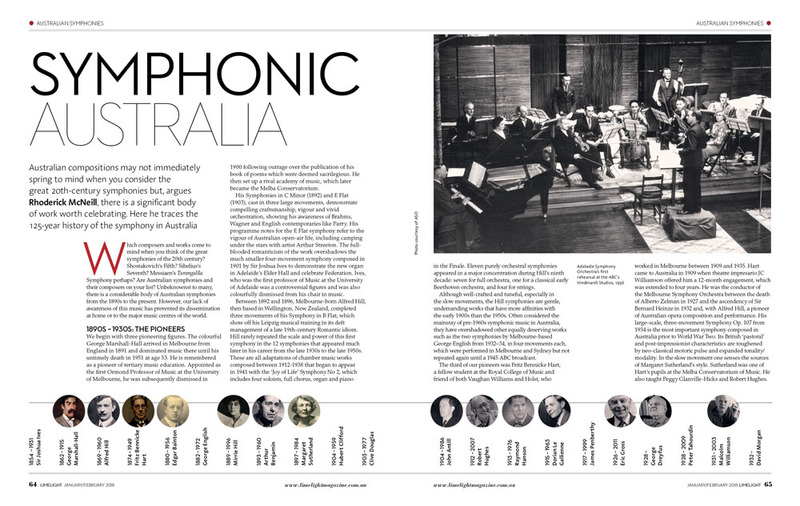 Rhoderick McNeill traces the 125-year history of symphonic composition in Australia: a little known but considerable body of work. 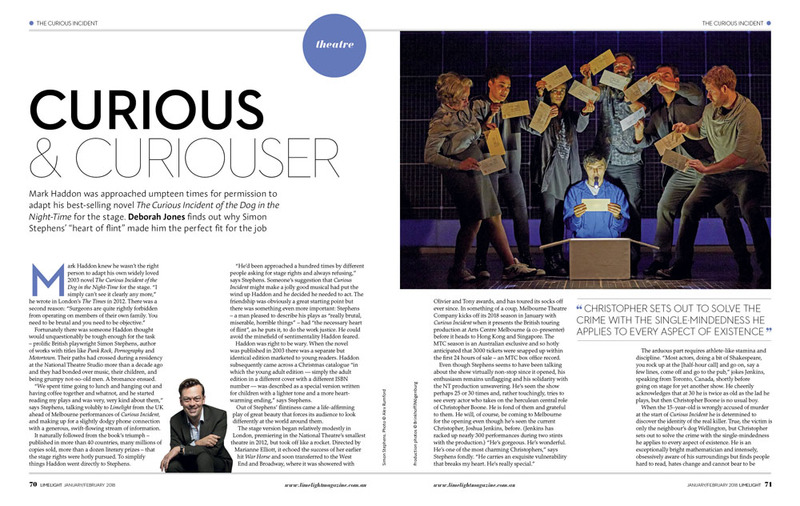 Discover why Simon Stephens had the necessary “heart of flint” to adapt Mark Haddon’s best-selling novel – The Curious Incident of the Dog in the Night-Time – for the stage. The January/February 2018 issue of Limelight magazine is now available. If you love Australian music then this is the perfect time for you to become a Limelight subscriber. 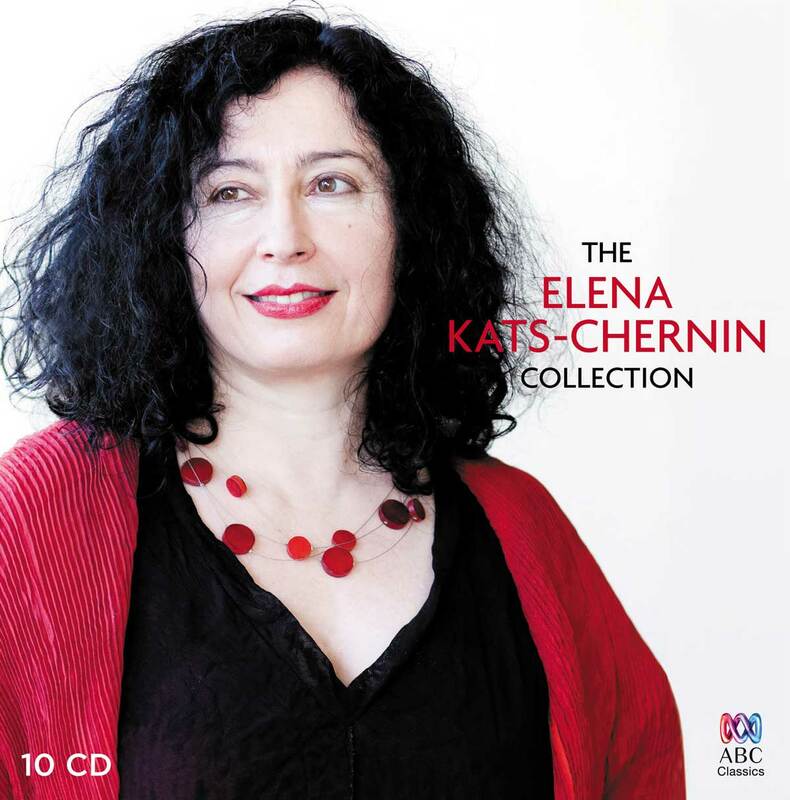 All new subscribers in January and February will be entered into our prize draw to win a copy of ABC Classics’ The Elena Kats-Chernin Collection, valued at $94.99! 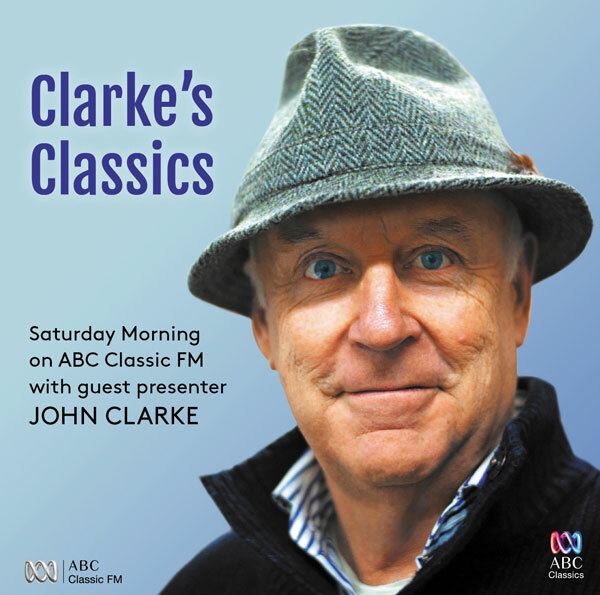 Enjoy this 10-CD boxset of the pre-eminent Australian composer’s music, bringing together iconic works with pieces recorded especially for this collection. 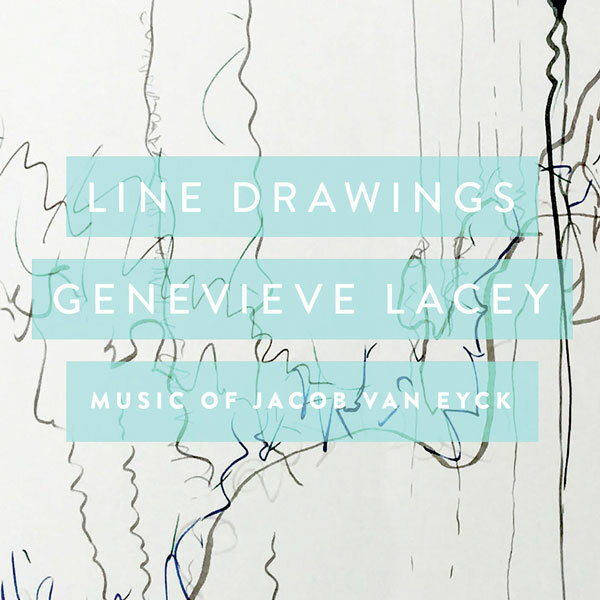 Plus, 10 runners-up will be randomly selected to receive a complimentary CD from ABC Classics’ recent releases: Slava Grigoryan Bach Volume II • Line Drawings Genevieve Lacey • Clarke’s Classics. Can classical music improve the effectiveness of pain medication? A new study by researchers at the University of Utah suggests it might not be long before doctors start prescribing Mozart with your medicine. The National Association for the Visual Arts, Music NSW, the Arts Party and Regional Conservatoriums have weighed in on Saturday’s election. Why limit the ‘Mozart effect’ to children when we could be using it on cheddar? The American soprano on mixed heritage, Peter Sellars and John Adams, and curating at NY's Met Museum. Pipa virtuoso Wu Man, saxophonist Amy Dickson and cellist Johannes Moser are among the guests on Artistic Director Kathryn Stott’s second Festival program. A delightful production that is as intoxicating as Papageno's pink cocktail, while acknowledging the darker elements in Mozart's opera. Curated clapping, and keeping mum between orchestral movements, was developed in the 20th century. But applause is most satisfying when it’s spontaneous – as artists know. 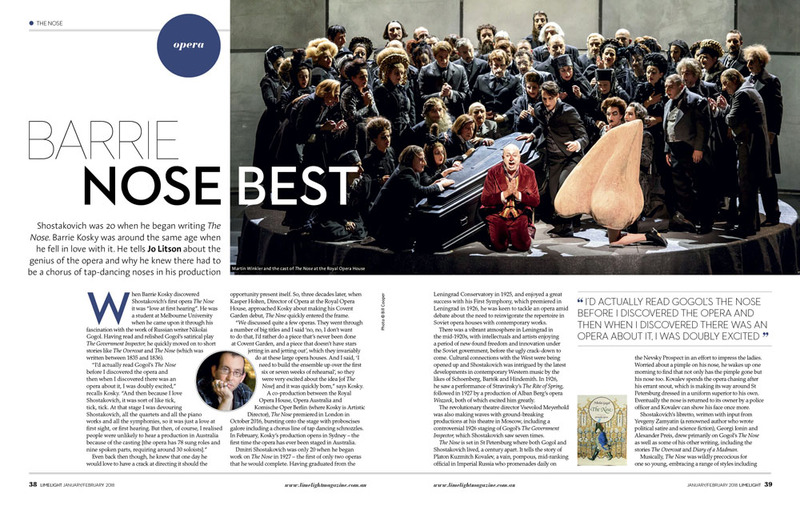 Barrie Kosky’s animated production of Mozart’s Singspiel has been stunning audiences globally. Suzanne Andrade and Paul Barritt from innovative British theatre company 1927 tell us how a “hyperactive little Australian” convinced them to stage their first opera.